An estimated crowd of two million people braved the bitter cold yesterday on the National Mall to witness history. Using the Bible that Abraham Lincoln used 148 years ago during his inauguration, President Barack Obama was sworn into office as our 44th President. I attended inaugural events and receptions in honor of our new President over the past four days here in D.C. and I've compiled photos of the many events that took place! 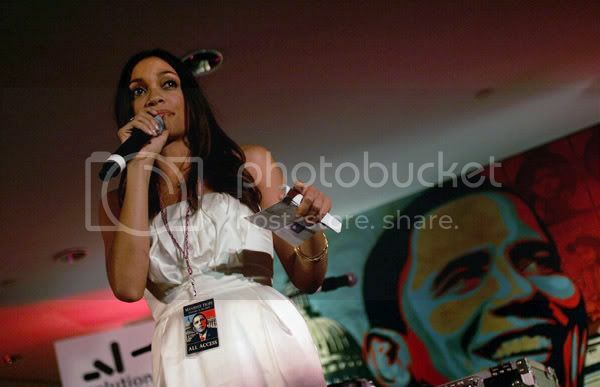 One event I attended was the 'A Dream Fulfilled' inaugural gala hosted by Stevie Wonder at the U.S. Chamber of Commerce on Monday. He began his performance after midnight, singing his legendary hits such as 'Signed, Sealed, Delivered' and 'All I Do'. While at the event I met Tracy Mourning, wife of NBA player Alonzo Mourning and founder of the Honey Shine mentoring program. 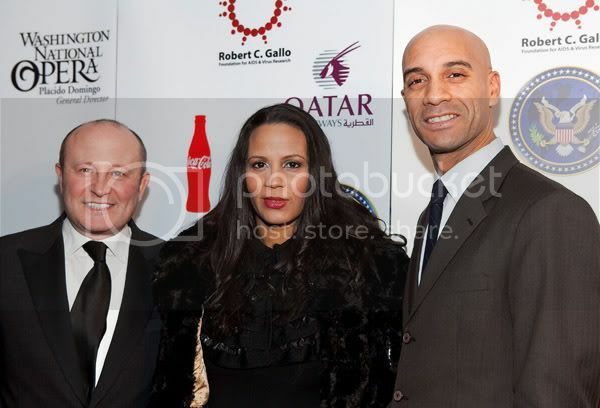 Tracy and Alonzo were voted by you, the readers, as BlackGivesBack's top philanthropic duo of 2008! Let's take a look at some of the events and people who were in town to celebrate our new President! 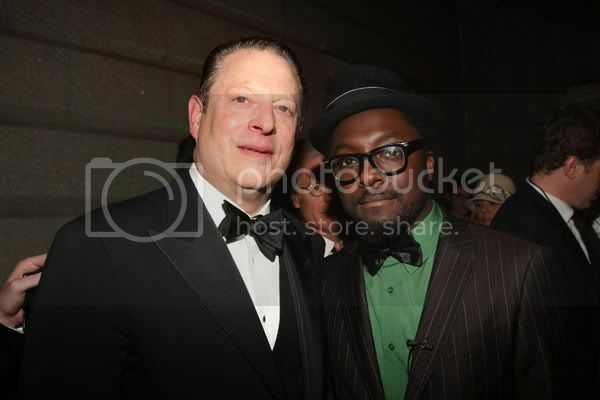 Former Vice President Al Gore and will.i.am of the Black Eyed Peas attend the Green Inaugural Ball at the Donald W. Reynolds Center for American Art and Portraiture on January 19, 2009 in Washington, D.C.
Franco Nuschese, Michelle Fenty and DC Mayor Adrian Fenty at the celebration to honor the Inauguration of Barack Obama at Cafe Milano on January 16, 2009 in Washington, DC. 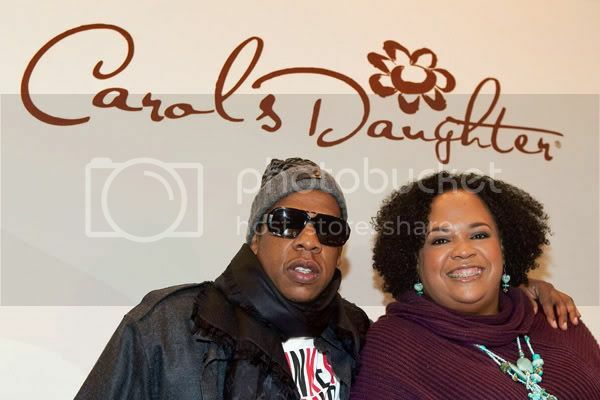 Hip hop artist Jay-Z and Carol's Daughter founder Lisa Price at the opening of the Carol's Daughter Store during Inauguration Weekend on January 17, 2009 at Pentagon City Mall in Arlington, Virginia. 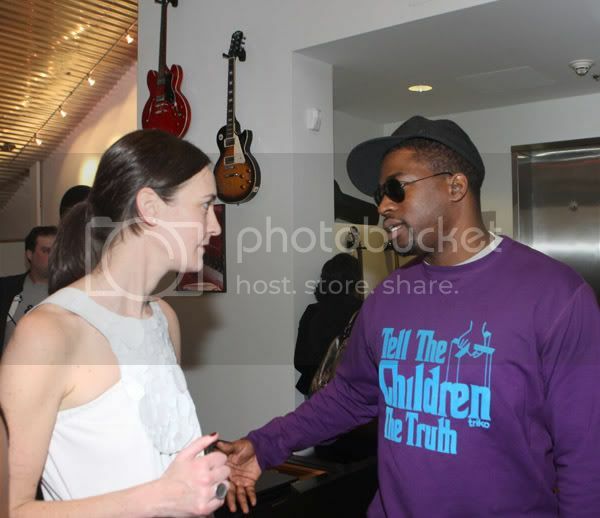 Updated: Proceeds from this opening event benefited the Lupus Foundation of America. 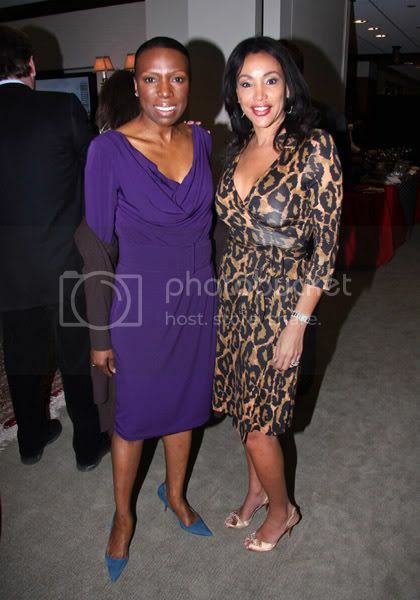 Mikki Taylor of Essence magazine and philanthropist Jaci Reid attend The Creative Coalition's VIP Inaugural brunch at BGR on January 20, 2009 in Washington, DC. 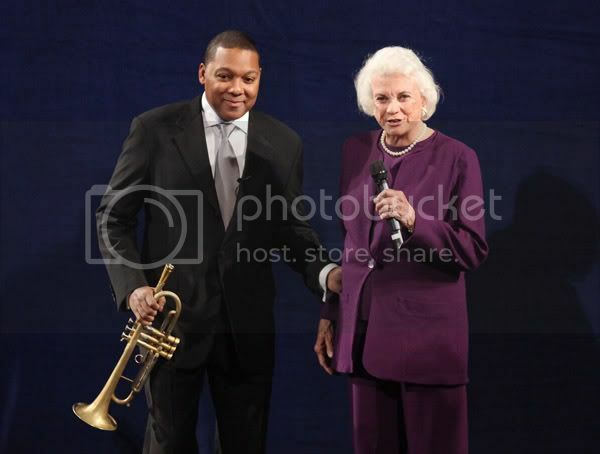 Wynton Marsalis and Justice Sandra Day O'Connor speak onstage at Jazz At Lincoln Center Presents "A Celebration Of America" Gala funded by The Rockefeller Foundation held at the Kennedy Center on January 19, 2009 in Washington, D.C.
Heather Smith, Executive Director of Rock the Vote and hip hop artist David Banner attend the Rock the Vote & Rolling Stone Event at Gibson Showroom on January 19, 2009 in Washington, D.C.
Actress Rosario Dawson addresses the crowd at the Manifest Hope D.C. Inauguration Party on January 19, 2009 in Washington, DC. 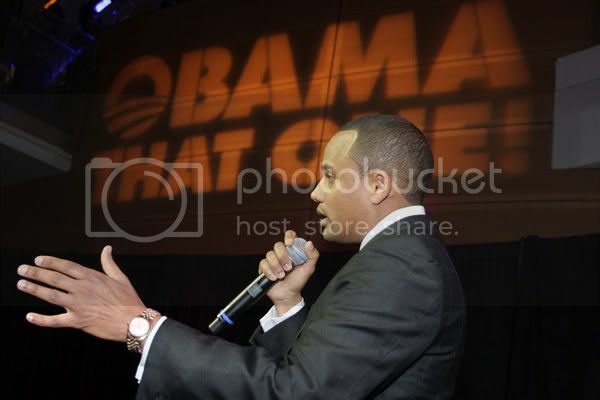 Actor Hill Harper attends the "Obama That One!" 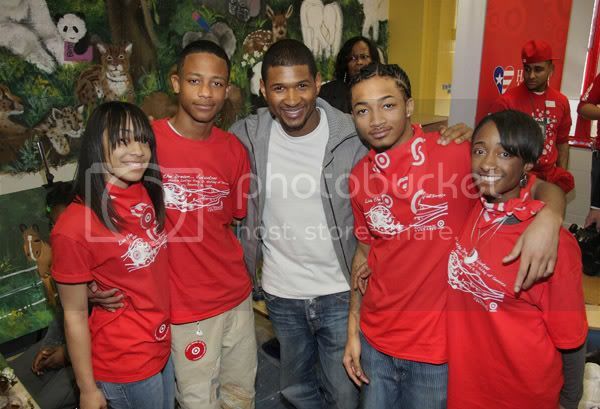 Change Awards at the Newseum on January 18, 2009 in Washington, D.C.
Singer Usher and ServiceNation staff and volunteers attend MTV and ServiceNation's "Be The Change: Live from the Inaugural" makeover event at Simon Elementary school on January 19, 2009 in Washington, D.C.